Urban Sketchers share a feast of Pacific Northwest sketches in a pair of exhibits throughout October at Gallery North and Cafe Louvre in Edmonds, Washington. Celebrate with the artists at the opening reception, Sunday, October 6, 2013, from 1 to 4 pm at Gallery North, 401 Main Street, and at Cafe Louvre, two blocks away at 210 Fifth Avenue South. 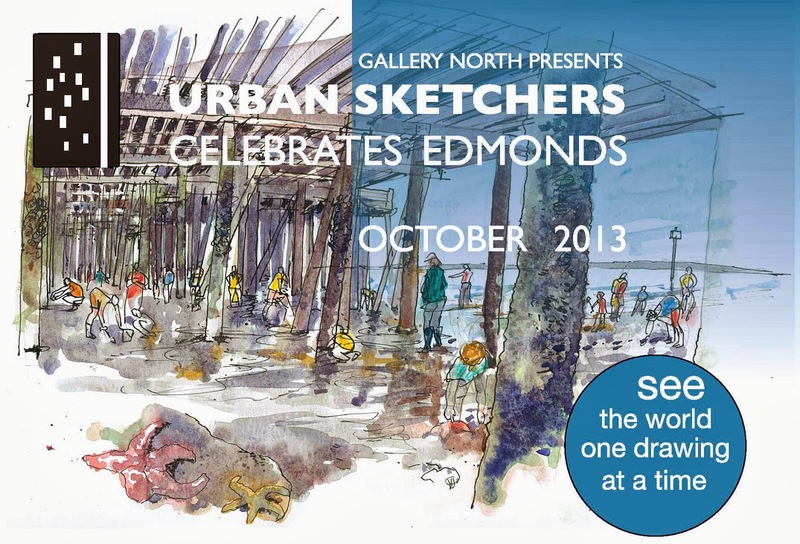 Come out for Edmonds Third Thursday Art Walk, October 17, from 5 to 8 pm, to see both of these shows and meet Urban Sketchers in action!